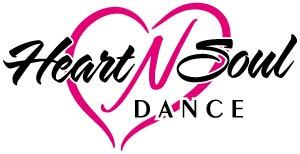 Provide the following information to complete registration for Heart N Soul's 2018 - 2019 dance season. We will review your registration and contact you if any changes are necessary. Please Note: Payment information is required to complete registration. However, no charges will be applied to your account until registration is finalized. At that point, only the Registration Fee ($35.00 per student or $50.00 per family) will be charged. As the legal parent or guardian, I release and hold harmless Heart N Soul Dance its owners and operators from any and all liability, claims, demands, and causes of action whatsoever, arising out of or related to any loss, damage, or injury, including death, that may be sustained by the participant and/or the undersigned, while in or upon the premises or any premises under the control and supervision of Heart N Soul Dance, its owners and operators or in route to or from any of said premises. The undersigned gives permission to Heart N Soul Dance, its owners and operators to seek medical treatment for the participant in the event they are not able to reach a parent or guardian. I hereby declare any physical/mental problems, restrictions, or conditions and/or declare the participant to be in good physical and mental health. I request that our doctor/physician ________________ be called and that my child be transported to ______________________ hospital. Please include physicians' phone number _______________. Tuition is due by the first of each month. If accounts are paid after the tenth of the month, there will be a $15.00 late fee applied to the account balance. There is a $20.00 returned check charge for any checks returned by the bank. I am aware that all delinquent accounts will be charged an interest rate of 1.5% per month (18% per annum). In the event any balance is not paid as agreed, the undersigned agrees to pay a collection fee not to exceed 40% of the unpaid balance. In the event a lawsuit is brought against you to collect the unpaid balance, the undersigned further agrees to pay court costs and reasonable attorney fees in addition to the collection fee. The undersigned further authorizes us or our agent to call you at any number you provide or at any number at which we or our agent reasonably believes we can contact you, including calls to mobile, cellular, or similar devices for any lawful purpose. The undersigned also agrees to any fee(s) or charge(s) that may be incurred for incoming calls for us or our agent, and/or outgoing calls to us or our agent, to or from any such number, without reimbursement. I have read the 2017-2018 Student & Parent Handbook and am fully aware of and agree to all the responsibilities and policies included within it. As the legal parent or guardian, I release and hold harmless Heart N Soul Dance, its owners and operators from any and all liability, claims, demands, and causes of action whatsoever, arising out of or related to any loss, damage, or injury, including death, that may be sustained by the participant and/or the undersigned, while in or upon the premises or any premises under the control and supervision of Heart N Soul Dance, its owners and operators or in route to or from any of said premises.